It’s definitely not pretty (and I totally bow down to anyone who has the ability to make gorgeous meatloaf), but it sure is good. What’s special about it? Well, it starts with your typical meatloaf mixture: ground beef, breadcrumbs, and onion bound together with eggs, milk and ketchup. Fresh thyme and rosemary are mixed in too, and the whole thing is set into a loaf pan loaded with a generous puddle of brown sugar- sweetened cranberry sauce. 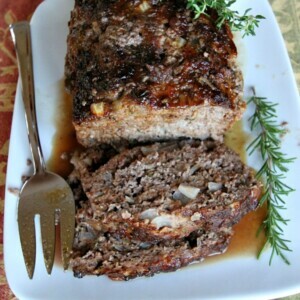 The sauce seeps into the meatloaf as it bakes, loading it with flavor and keeping it moist and tender too. My family of three gave my Cranberry Meatloaf 3 double-thumbs-up. We usually like to use ketchup to dunk our meatloaf into, but this recipe has enough flavor on its own. No dunking ketchup needed. 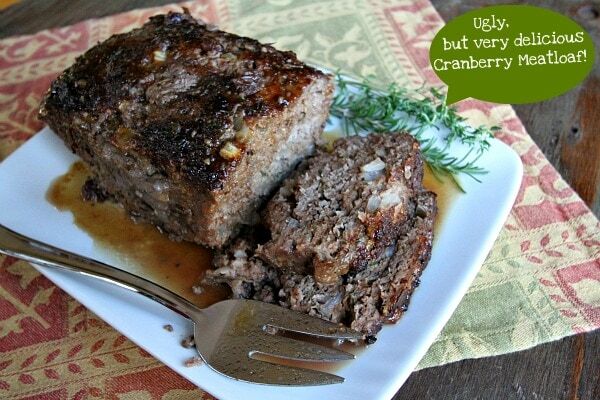 The meat itself is tender, and the sweetened cranberry sauce lends a slight sweet flavor to the dish. It’ll be a dinner-repeat in our house for sure. I served it with some special scalloped potatoes that I’ll be sharing on the blog next week (and I promise… they’re pretty). 1. Preheat the oven to 350°F. Lightly oil a 9x5x3-inch loaf pan. In a small bowl, combine the cranberry sauce and brown sugar. 2. Place the cranberry sauce mixture in the bottom of the prepared loaf pan. 3. In a large bowl, combine the remaining ingredients (except bay leaves and thyme sprig) and mix well. Set the meat loaf mixture in the pan on top of the sauce. 5. Allow the loaf to cool for 20 minutes. Remove the bay leaves and thyme sprig. Very carefully use a spatula to scoop underneath the meatloaf and move it to a serving plate. Drizzle some of the pan juices over the loaf. *If you are preparing this recipe as gluten-free, just be sure to use brands of cranberry sauce and ketchup that are known to be GF, and use GF breadcrumbs in place of regular breadcrumbs. 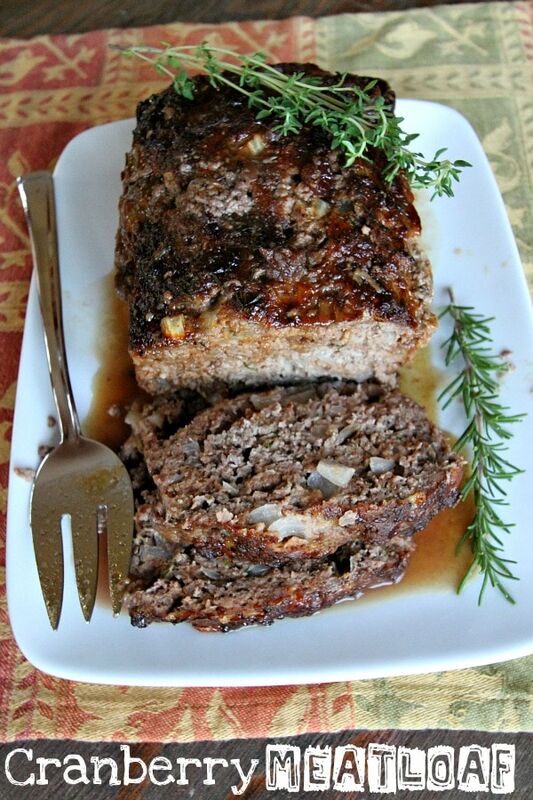 Chicken Parmesan Meatloaf by What’s Cookin’ Chicago? I’m so glad that I found your recipe! Years ago, on a new cakepan liner, I found this recipe and another one for poppyseed lemon cake with a banana cream filling. Both were fantastic! But many years and many moves later,I’ve lost both recipes. From what I recall, your cranberry meatloaf is identical. 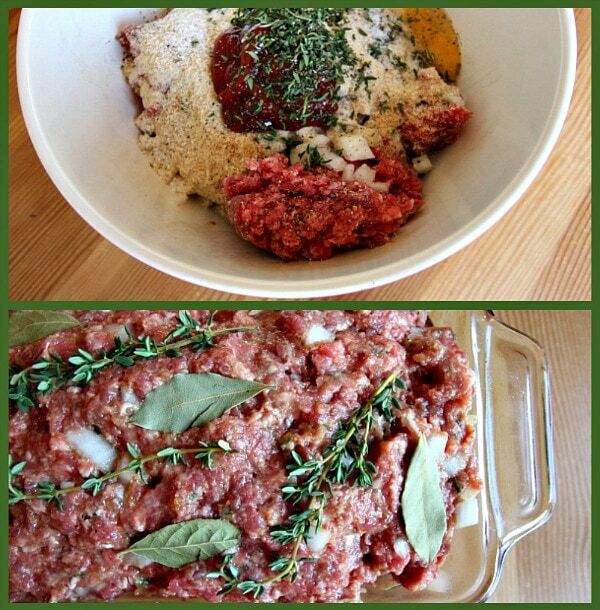 I’m saving it for future reference, as this is my FAVORITE way to have meatloaf!!! (Now if I could just find that cake recipe…) Thank you!!! 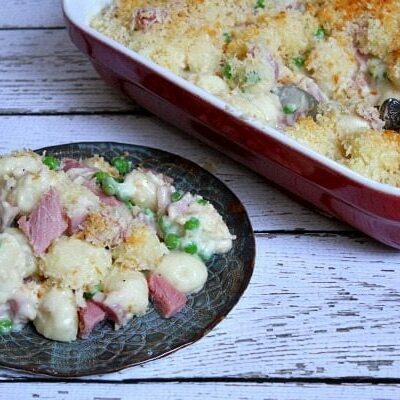 This recipe was absolutely amazing!! My entire family enjoyed the meatloaf. We have ‘meatloaf’ pans that strain the fat away at the bottom, so I just mixed the cranberry and sugar into the meat. I was looking for a ground turkey recipe on Pinterest and found this. 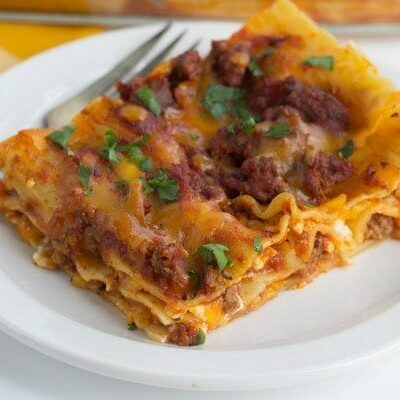 I did make it with ground turkey and it was super tasty. Definitely going to be a repeat in my menus. I made this for dinner last night. It was delicious. My mom, who has made many meatloaves, said this was the best tasting meat loaf she’d ever tasted. Who knew a little cranberry sauce could make all the difference?! I will be making this recipe again. Brown food is so hard to photograph – but I have to say this looks fantastic! 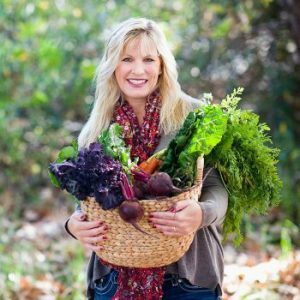 I just bought some ground turkey and was planning on making some meatloaf this week – we’re all in the mood for some comfort food after the hurricane. I love the sweet tangy flavor of cranberry sauce in this recipe – going to have to give this a whirl! I’ll have to try it with turkey! Ok, I don’t particularly like meat loaf but my husband loves it! With the addition of cranberries and brown sugar I may love it too. Thanks for this lovely fall recipe.